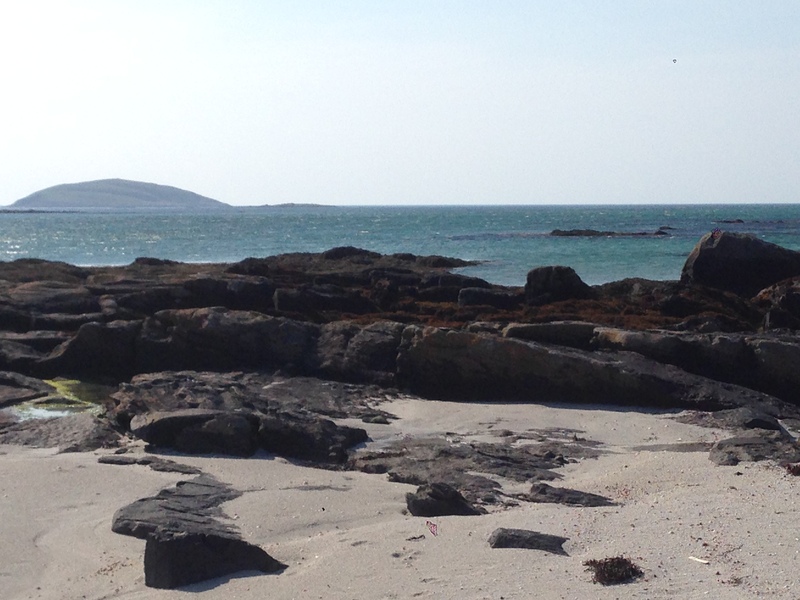 Not so long ago my gran asked me to come on a little trip with her to Eriskay, a little island on which she grew up, located in the southern part of the outer Hebrides of Scotland. 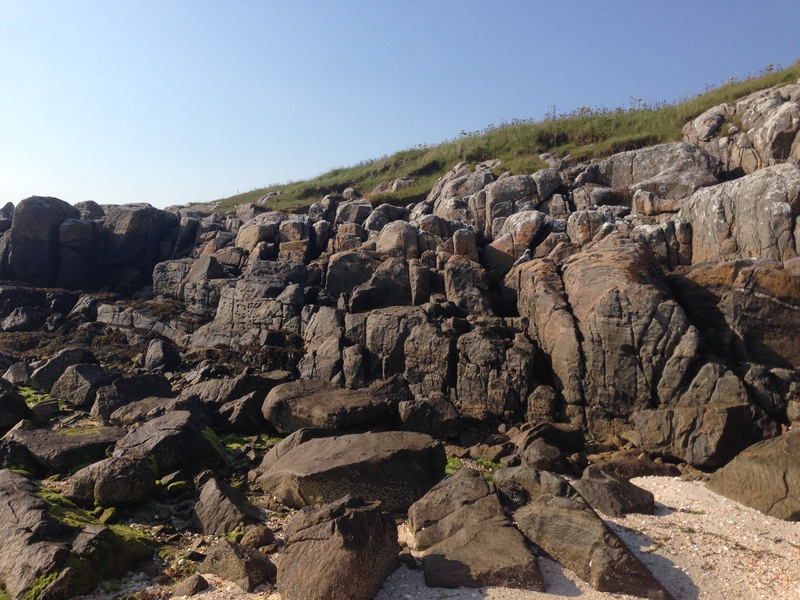 I have never been abroad for a holiday , so trips to other parts of Scotland is about as far as I go, but I was really excited to visit a place I’ve heard so many stories about growing up. 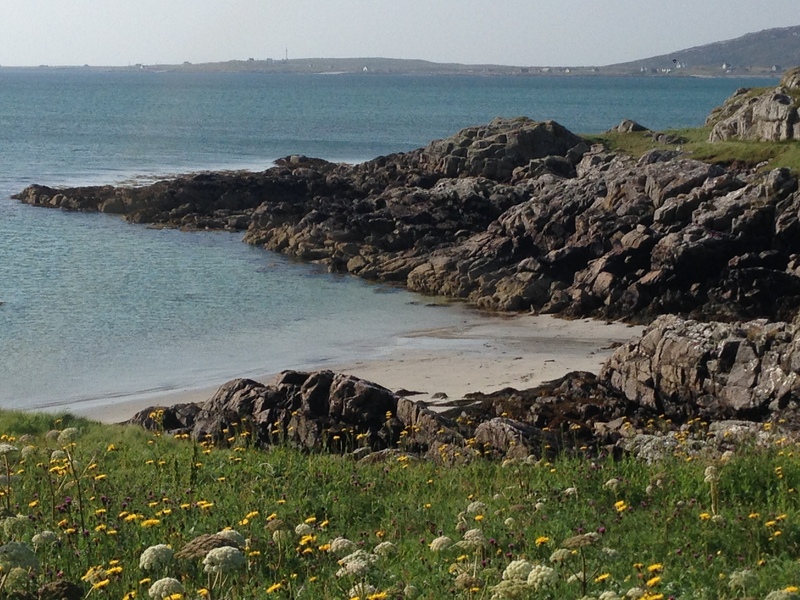 I was very close to my gran when I was younger and I was often told stories about my gran growing up in Eriskay as a child and the antics my dad and his brothers and sister got up to when she took them there for their summer holidays. 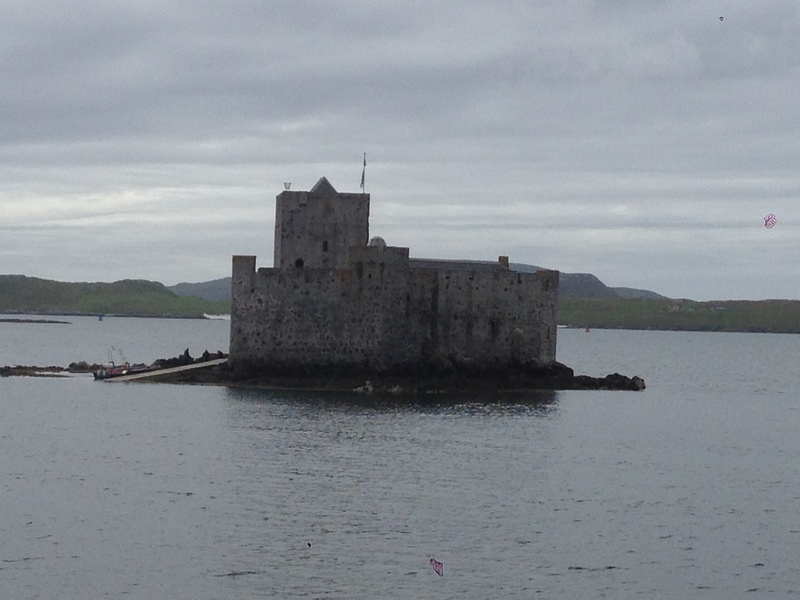 After a 3 hour train journey from Glasgow to Oban, we hopped on a ferry to South Uist for 5 hours. It was a pretty long day as you can imagine and I was glad to get some sleep in a very comfortable bed. 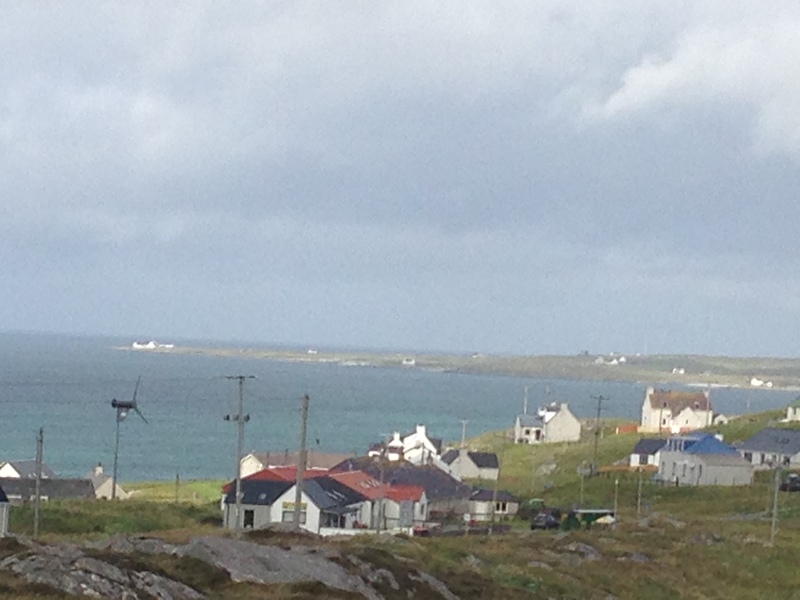 We stayed with my grans brother Donald and his wife Katie in there cute little croft (which is similar to a bungalow). 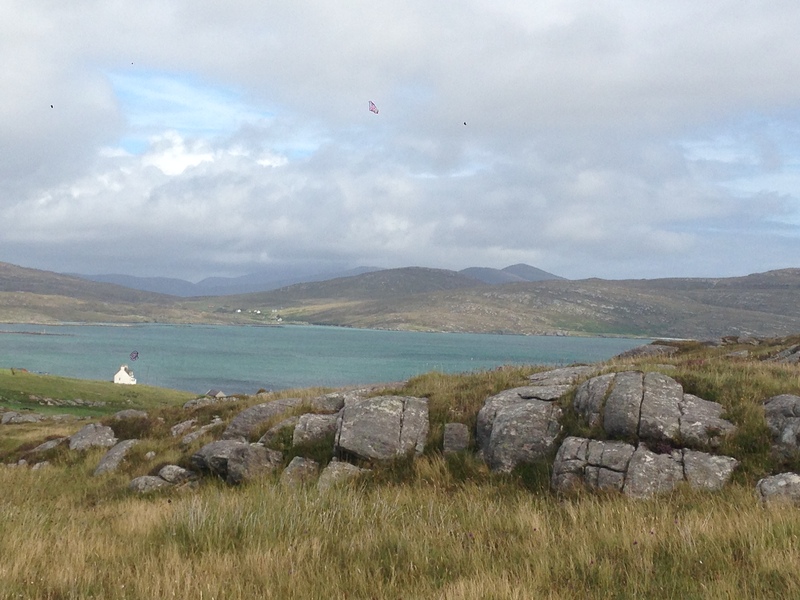 There was an amazing view from every window in the house, one side of the sea and the other of hills and distant crofts. 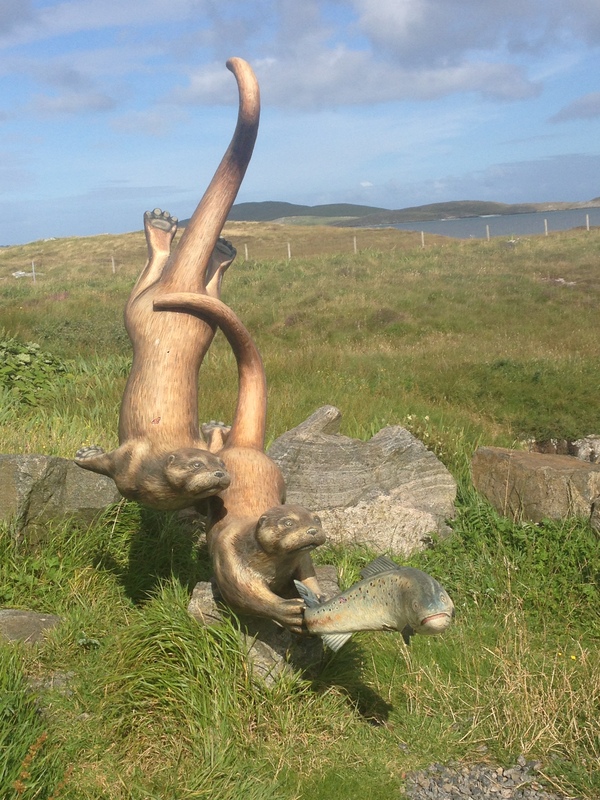 They kind of views you can expect to see in Eriskay ! 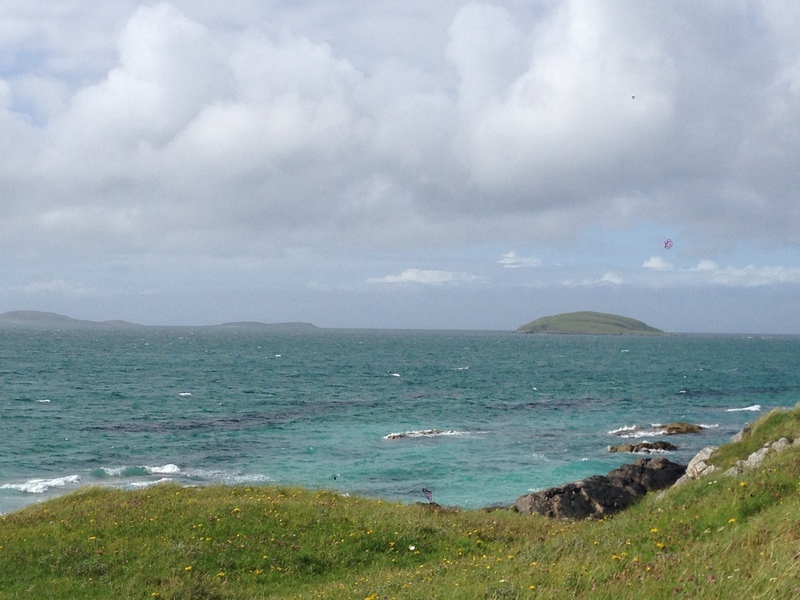 Some photos from our day in Barra. 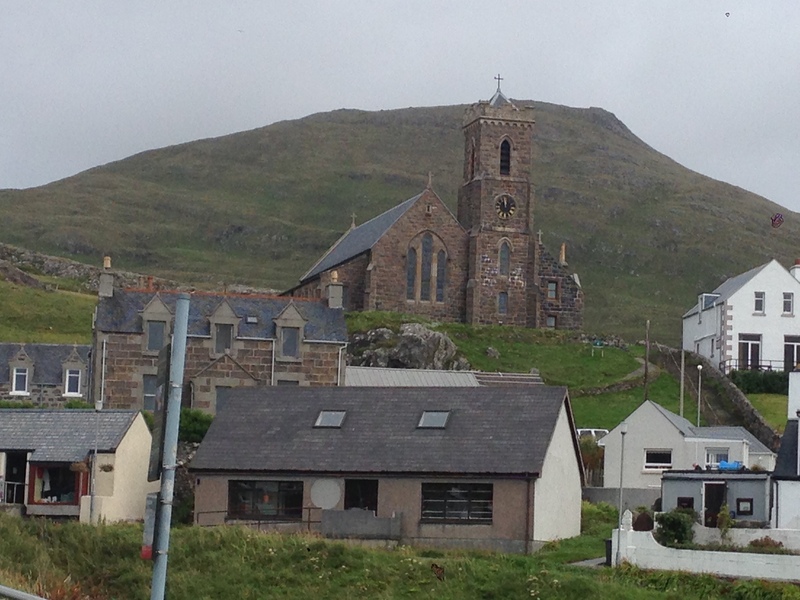 The first is a sculpture at the ferry terminal in Barra, the next is a cathedral which looks very pretty, sitting proudly on the hill. 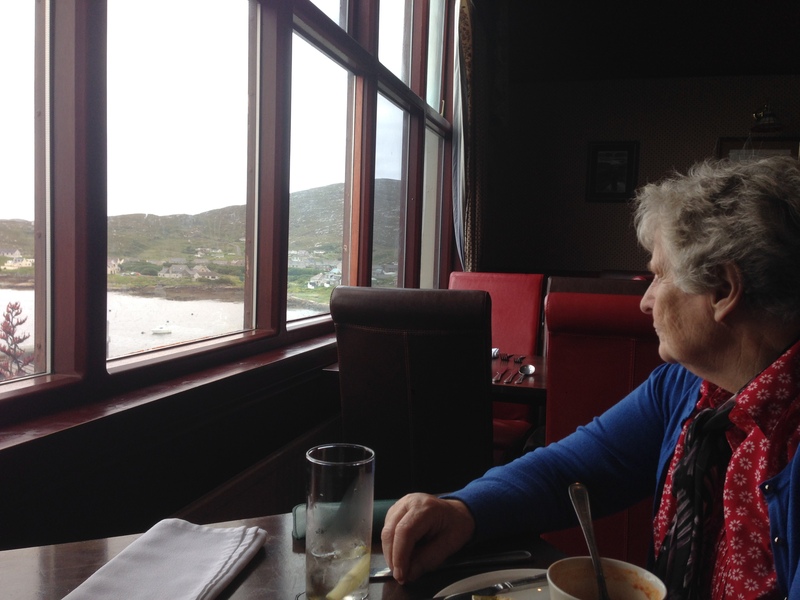 My gran and I then went for some lunch in a hotel restaurant before heading to a tour of the castle also known as the castle in the sea, we had to get a small boat over to it . 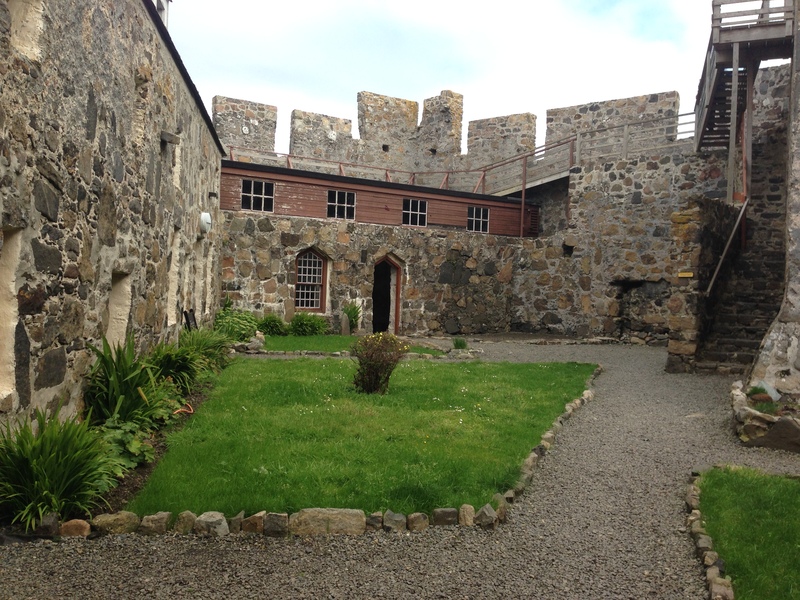 Inside the castle was pretty spooky, there were alot of dark nooks and crannys, and tiny rooms. 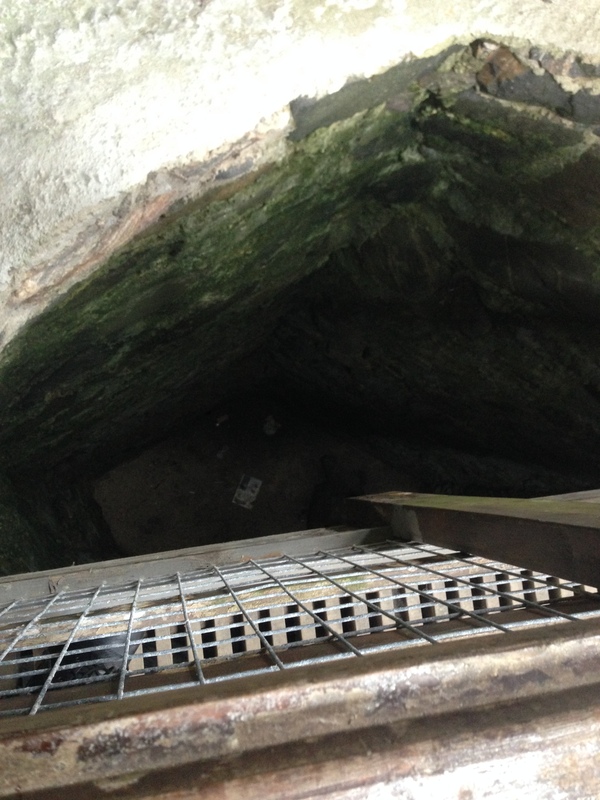 The first two are from inside the castle, the third was taken when i was standing on a bridge over a massive hole , which was quite scary to stand on ! 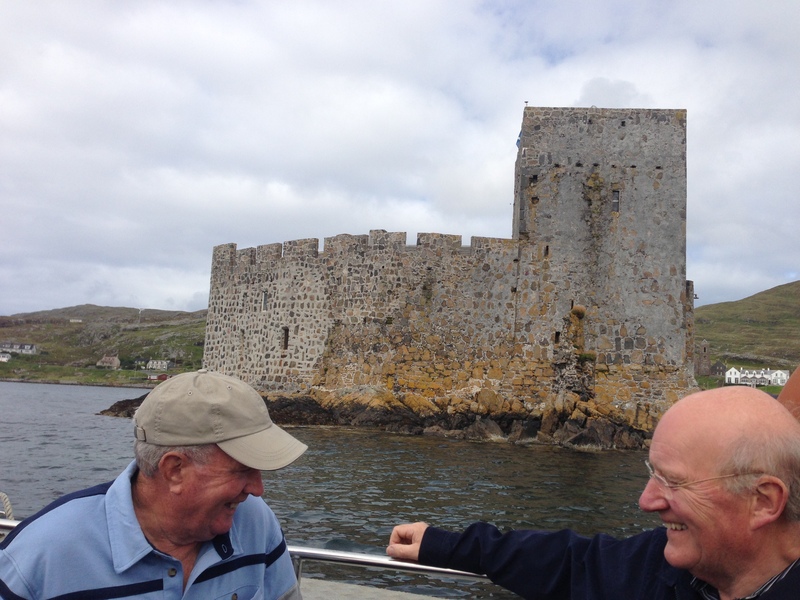 The last is when we where on the boat and i took a picture of the castle accidently taking a (very nice) picture of two men who were on the tour with us . I wish i knew them because I really like this picture ! 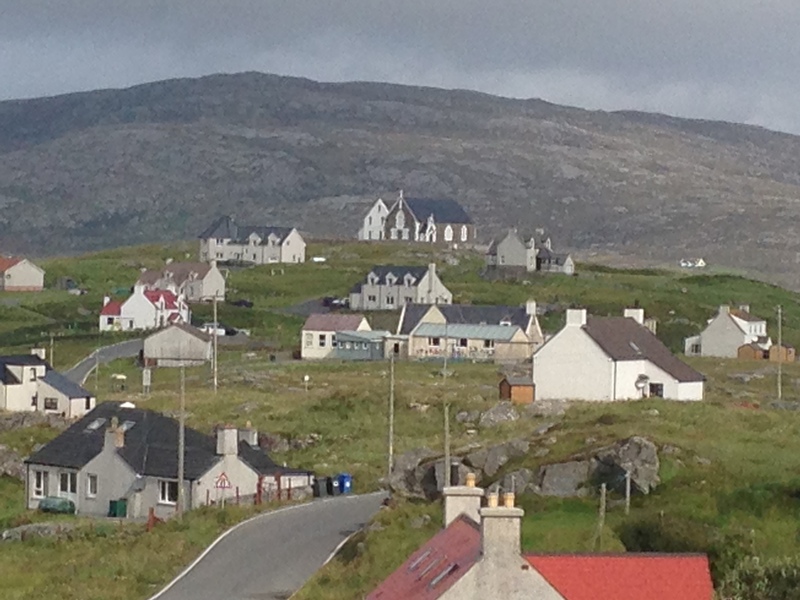 Eriskay is a very quiet place with a small population, and so there’s not a great deal to do there alone. 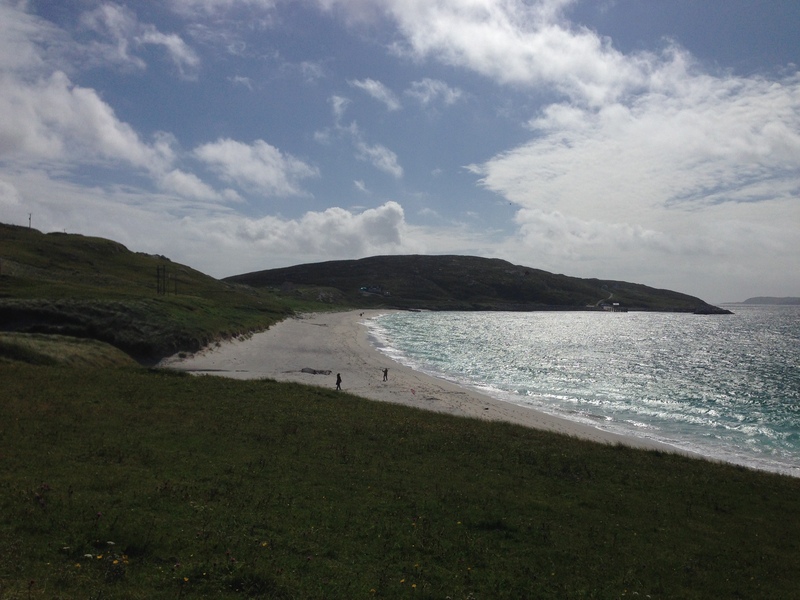 However there are ferries travelling between the islands , we were only able to visit Barra ,another small island south of Eriskay. 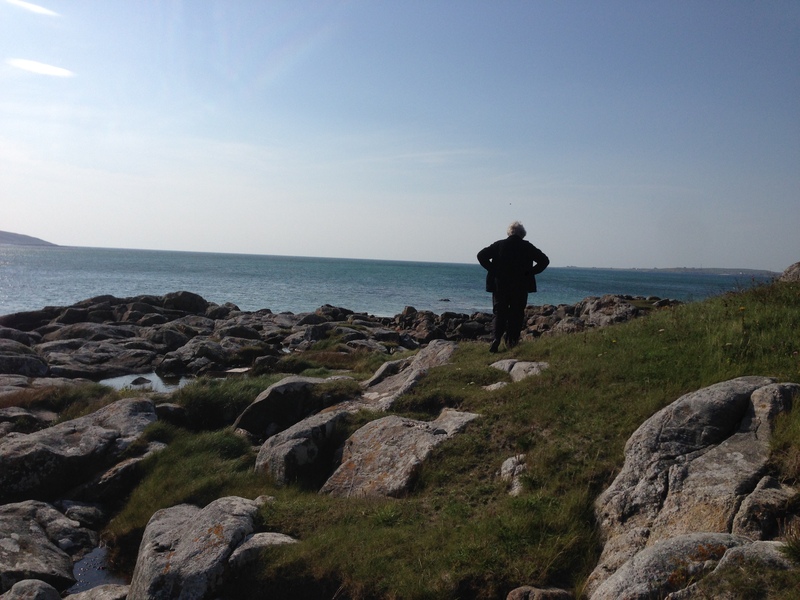 Most of the days we filled our afternoon walking around the island, climbing up hills and rocks (yes my gran was actually rock climbing) while my gran told me lots of stories which I enjoyed listening to. 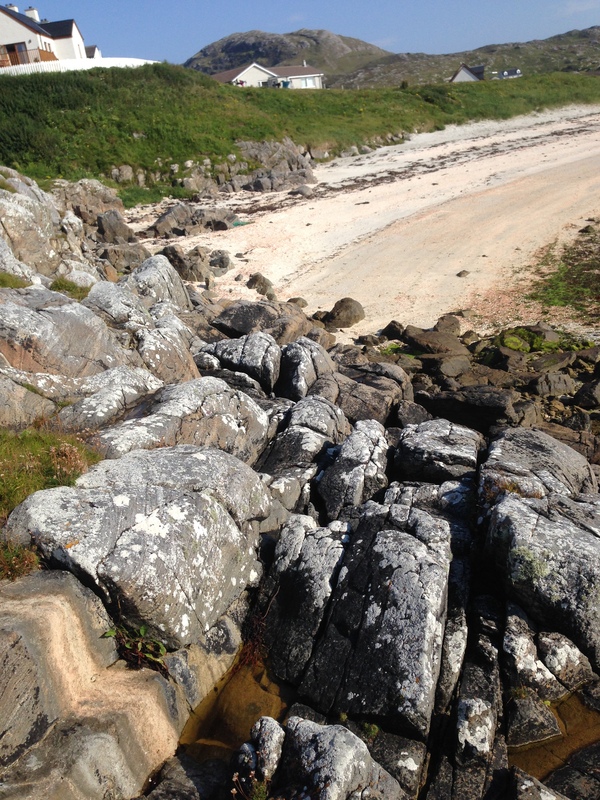 The rocks we climbed up ! 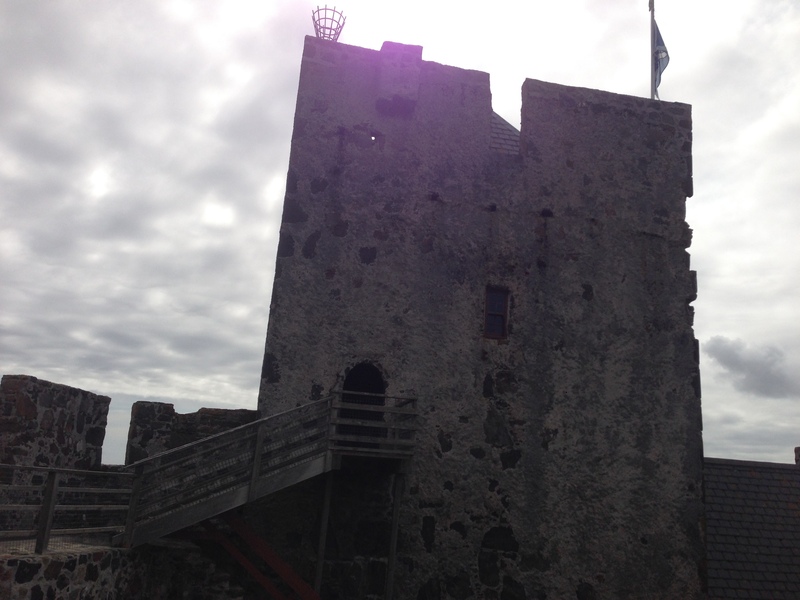 And the impressive view we got up there on the hill. This is a picture of a derelict croft nicknamed by my Gran the “Mint House”. 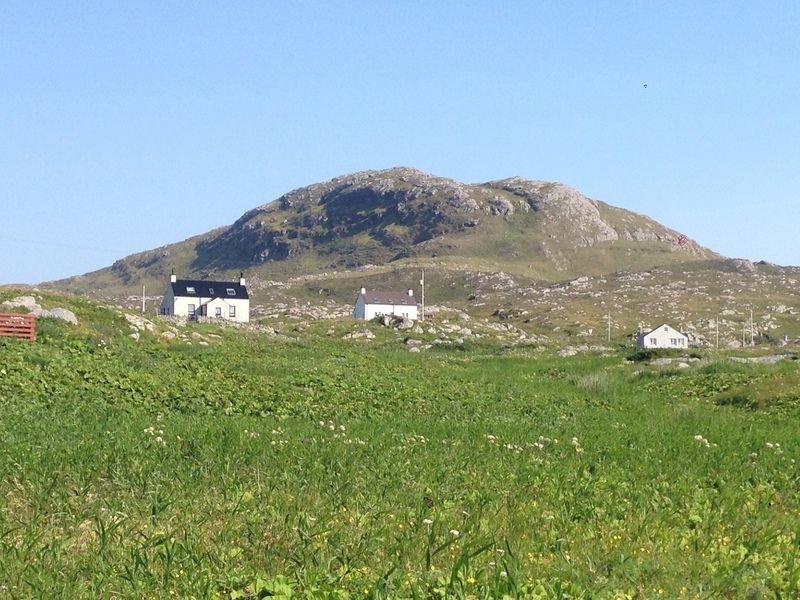 When my gran and grandad took my dad, aunt and uncles up to Eriskay , they would go to this croft and pick mint that grew wild there. They would then take it back and chop it up and add it to home grown potatoes with butter with their dinner. This is the croft now, abandoned and overgrown, I found a snail on the wall and took a picture, it’s probably one of my favorites! I managed to take over 100 photos which ill admit I’m quite proud of. As much as I would love to I can’t really share them all with you on this post. 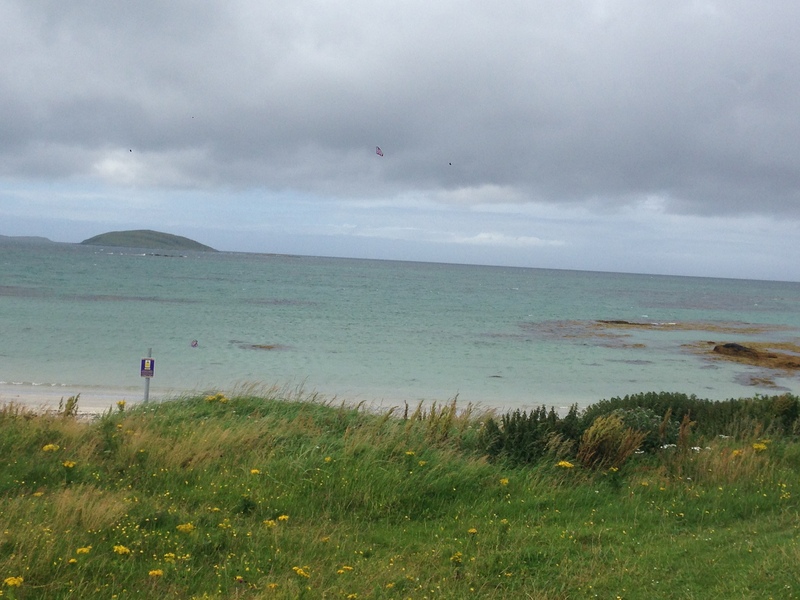 Eriskay and the surrounding islands are so beautiful I can’t even put into words. It’s such an untouched place that seems stuck in time . The people there are so friendly, so much so that it’s unusual for anyone to pop into the shop and not have a 10 minute conversation with the locals ! 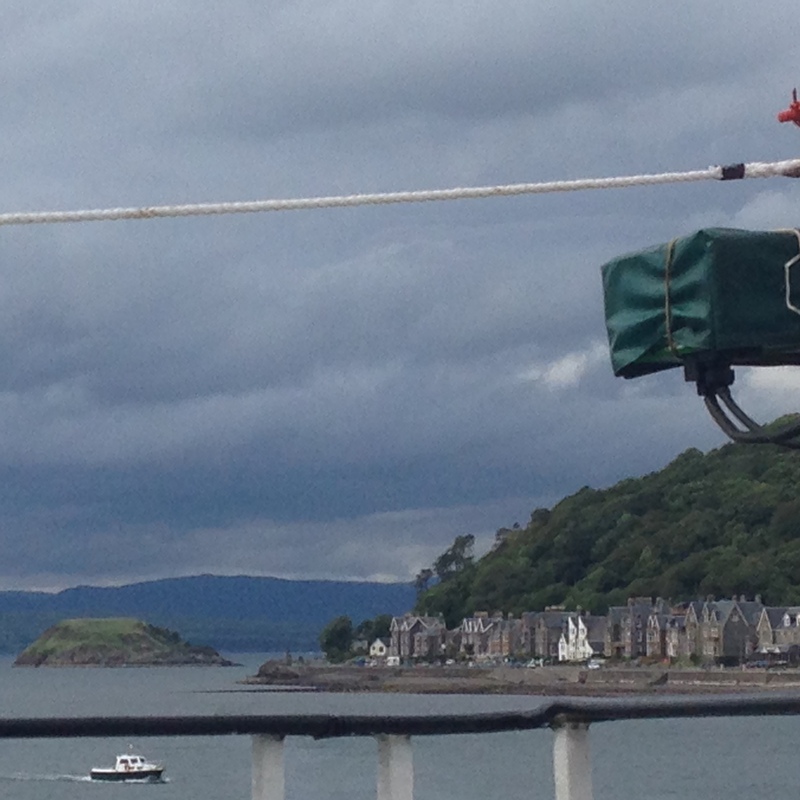 I had a really lovely time there , and hopefully I’ve convinced you guys to consider a little visit to the Scottish highlands .